Aqua Pools Online > About > Blog > Two pool covers needed? One of the first things people ask after purchasing an in-ground pool is what kind of cover do I need for my pool? The answer really depends on what time of year you are talking about. For the open pool season we highly recommend an automatic pool safety cover. The safest covers are the ones that are properly used. An automatic cover makes it simple and convenient to cover your pool anytime it is not in use. With a flip of a switch you can be sure that children, pets, and debris will not end up in your pool. This means your pool is safer and cleaner than an uncovered pool. During the closed pool season we recommend using a solid or mesh safety cover. These are not as convenient when your pool is being used daily or even weekly, but are an ideal option for using while your pool is closed. Solid or mesh safety covers are very effective at keeping children and pets out. They also work against weather and debris protecting your pool until you are ready to open it again in the spring. Do I really have to have 2 covers? Of course you do not have to purchase 2 covers, but there are major benefits to both types that make pool ownership easier and more enjoyable. Here are the main things to consider when deciding which cover will be best for you, keep in mind the answer very well could be both. 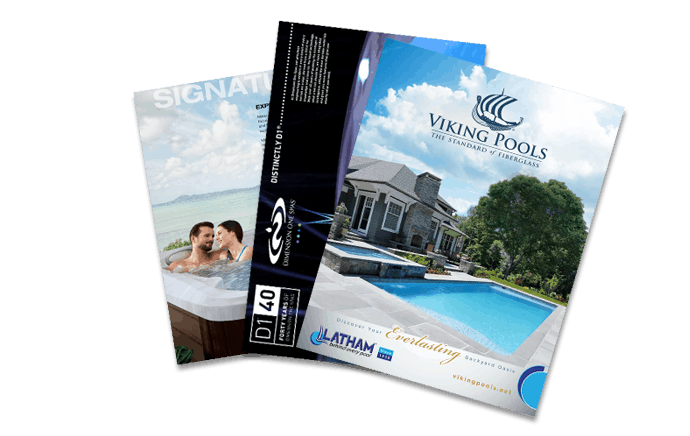 If you are feeling overwhelmed, with deciding what kind of cover will be best for your Latham in-ground pool, let our skilled staff show you everything you need know about choosing the perfect pool cover for you.